A fat-free diet living on lettuce, slim yoghurt and milk, diet soft drinks and salad dressings may appear very fashionable, but it has its pitfalls. The fats you eat make up the majority of your cell walls, so a low fat or a no fat diet makes your cell wall inflexible and extremely difficult for nutrients to pass through and feed your cells. Stiff cell walls also mean that cells can become less responsive to messages from your hormones and other important molecules. Doctors and Nutritionists have long given fats a bad rep, but not all fats are bad. You just need to know the difference. 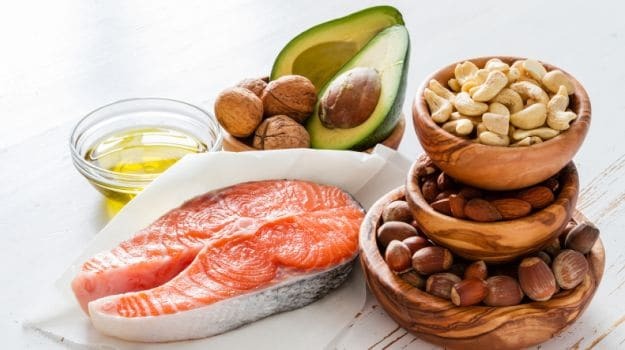 In fact these naturally occurring fats are very instrumental in balancing hormones, which in turn help to deal with stress, promote sleep, regulate body temperature, and help the body use A, D, E and K fat-soluble vitamins. Eggs are nutrient dense and filling, mainly because of their belly burning high protein content. 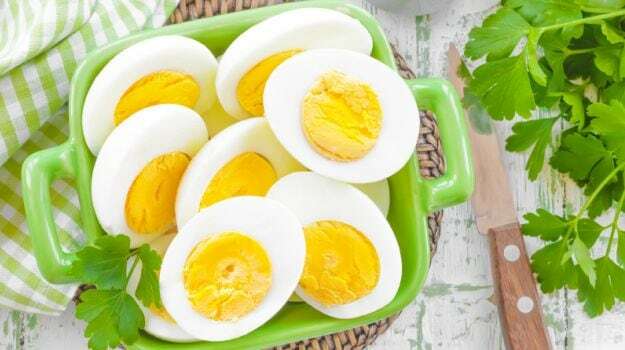 Dietary studies have repeatedly found that when people eat an egg every morning they lose twice as much weight as those who eat a breakfast dominated by carbs. Plus they are rich in B6, B12, A, D, E and K, folate, choline, lutein, calcium, iron, phosphorus, zinc and Omega 3 fatty acids. Choose eggs that come from free-range chickens. You'll get healthier nutrients. This golden elixir that our grandmothers and mothers have cherished for years, whether for massage, as tadka in our dals or offering in pujas, it has incredible properties. Once made, ghee contains practically no lactose and casein, making it suitable for people who cannot digest dairy. Ghee has a very high heat point, which makes it one of the best oils for cooking. During an Ayurvedic cleanse, it is the most preferred vehicle for Oleation: a process of ingesting oil over a period of time. This actually helps pull fat soluble toxins out of the cells and triggers fat metabolism, a process where the body kick-starts to burn its own fat for fuel. 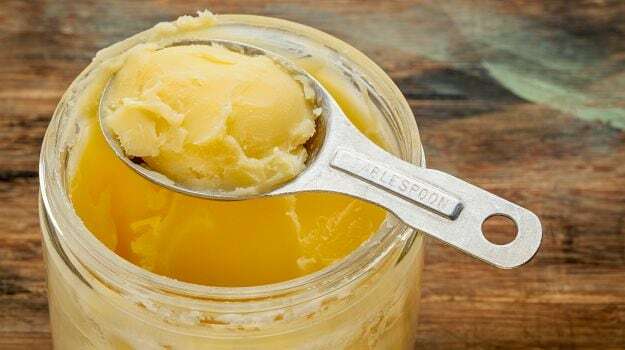 Ghee is also one of the highest food sources of butyric acid (the cells of the colon use butyric acid as their preferred source of energy), and a major agent for supporting the health of the intestinal walls. 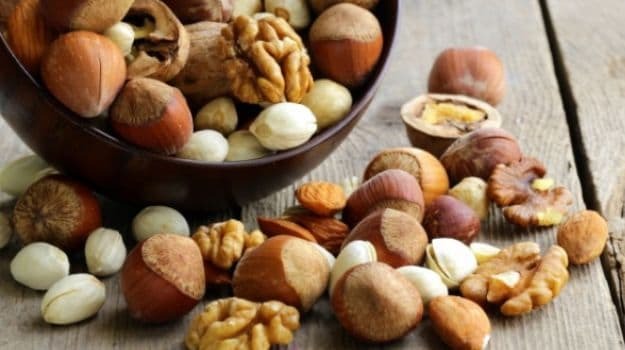 Nuts are packed with Omega 3 fatty acids that are heart healthy, and contribute to giving a boost to the metabolism process to burn excess fat. They are filling, so empty calorie cravings will not sabotage weight loss efforts. Nuts are a great snack for people who stay up late for work or students who have to study. They provide satiety and are brain foods that help concentrate. Nuts should always be eaten raw and unsalted, so they are beneficial for weight loss efforts. Coconut oil contains the medium chain fatty acids (MCFAs) that are the healthiest type of saturated fats, which actually help you lose weight while keeping you healthy. 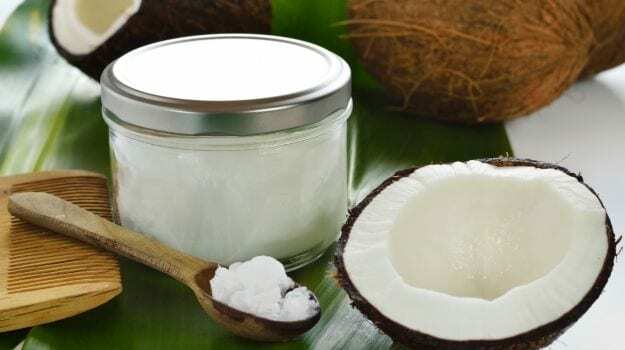 Whereas other fats are stored in the body's cells, the MCFAs in coconut oil are sent directly to the liver where they are immediately converted into energy. So when you eat coconut and coconut oil, your body uses the food immediately for energy rather than storing it as a body fat. 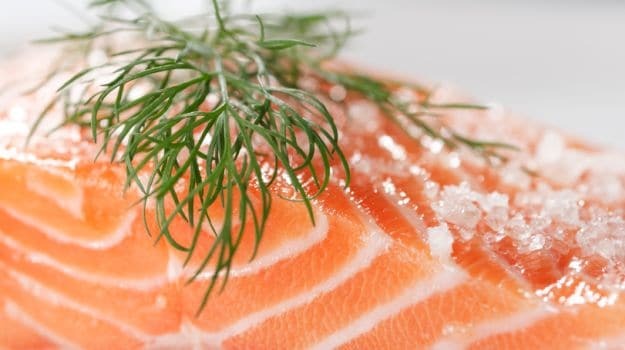 Fish and most other seafood are a power house of weight loss boosting omega 3 EFAs. A balanced and sufficient intake of EFAs (essential fatty acids) help you burn body fat, giving you energy and encouraging your skin to hold water, making it smooth and youthful. EFAs are also vital for your brain and nerve cells. EFAs increase your cells sensitivity to insulin, allowing your body to do its job of regulating blood sugar. EFAs also break down and eliminate cholesterol and bad fats from your system. So, if you think you eat enough fish and seafood think again! Flaxseeds contain a great deal of fiber and as a bonus, are the most abundant source of a protective compound called lignans. Lignans act as phytonutrients, which help balance your body's hormones and keep you youthful and lean. 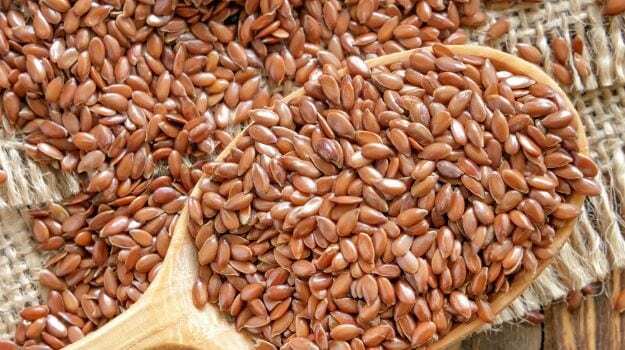 You need to grind flaxseeds to access their beneficial EFAs. If you eat them whole, they'll pass straight through you. So embrace these fats and go lean on processed foods, trans-fats, sugary items, diet sodas, baked items and genetically modified foods; and don't forget to enjoy your breakfast paratha cooked with ghee or a dollop of home-made butter. Kerala Fat Tax: Could Making Junk Food Expensive Curb Obesity?